ST. PAUL, Minn.--(BUSINESS WIRE)--When Joe’s heart-rate monitor kept falling off, he asked his doctor, “Isn’t there a better way to make it stick?” Thanks to 3M, there is. The company that makes everything from Post-it® Notes to structural adhesives that hold airplanes together, also makes advanced medical adhesives that can hold for up to two weeks. When considering adhesive science and the challenges of a substrate like skin, design engineers know sticking-to-skin is trickier than you would think. With the addition of 3M™ 4076 Extended Wear Medical Tape to its extensive portfolio, 3M’s Medical Materials and Technologies business has given medical device manufacturers and engineers a long-term wear, acrylic-based adhesive solution designed to increase patient comfort and provide a strong and reliable bond in challenging applications. The non-sensitizing, conformable adhesive was developed for long-term wear, providing a bond that is firm yet comfortable so patients may not even realize they are wearing a device. This allows engineers and manufacturers to focus solely on their device’s design and application, spurring innovation while ensuring their timeline and budget requirements are met. Compliant with ISO:10993 and ISO:10993-10, medical industry regulations assessing a product’s potential to produce irritation and skin sensitization, 4076 Extended Wear Medical Tape is approved for use on intact skin. The tape is part of the extensive adhesives product line 3M offers the medical device manufacturing, design and supply industries. Through the company’s diversity of technologies – paired with its 55 years of experience in the medical adhesive business and team of experts – 3M provides medical device professionals with the tools they need to satisfy their project requirements and confidently navigate their way to market. 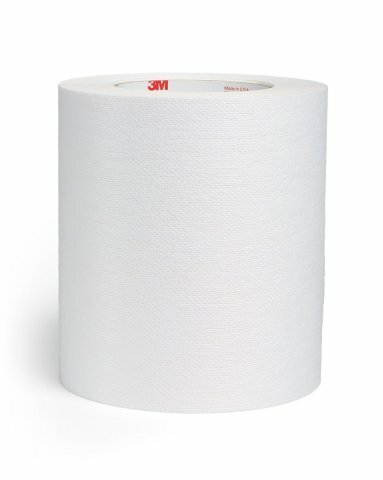 To learn more about 4076 Extended Wear Medical Tape and how 3M products can stick with you, please visit 3M.com/MedTech. 3M enables engineers to solve tough medical device design challenges with its new acrylic-based, nonwoven tape for long-term wear on skin.